Middles make up the bulk of a novel and are often problematic, because the exciting beginning is over, but it's not to the exciting ending yet. But this is where the meat if the novel unfolds, so slacking off just isn't an option. What you need are a few bones to stick that meat to. I've written before about combating boggy middles, so let's talk about what makes a good middle. Just like a good beginning sets up the expectations and a good ending resolves the story questions, the middle is where it all gets explored. It's more than just the stuff between the inciting event and the climax, but it’s not uncommon for a story idea to focus on getting the protag to the climax. On one hand, this is good, because the story is about posing a problem resolving that. But without the middle to add depth and show what it all means, it’s just characters acting out plot with little to no tension to keep readers interested. Good middles show the struggle your protag goes through to win, and the growth they undergo while doing that. 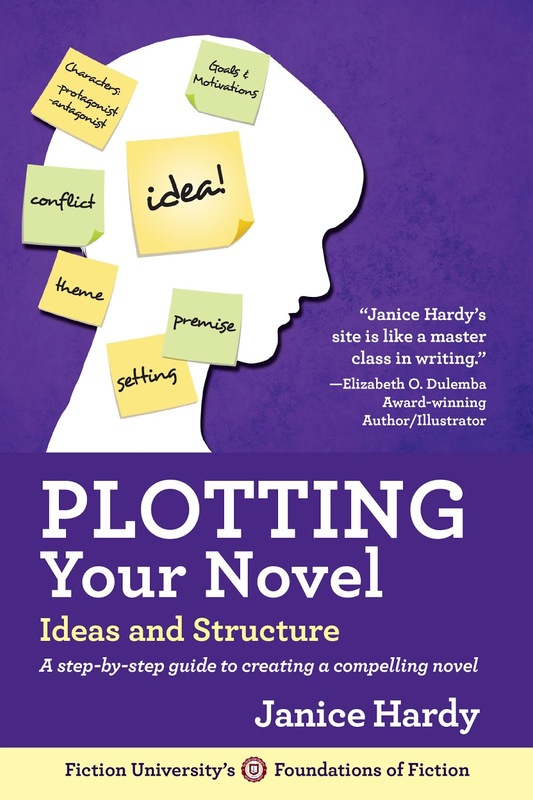 It braids together your plot and subplots, rubs your conflicts against each other and poses enough questions that your reader isn’t sure what’s going to happen next. And makes them want to know what happens next. What happens in the middle gives the ending meaning. It’s not just a slew of problems one right after the other for the sake of creating conflict. This is a common snag to many manuscripts, because you know you’re supposed to have conflict, but you never plotted enough turning points to sustain real narrative drive. The opposite is also common, where you fill the space with waiting scenes until you can start the ending. By the end of the first act, the protag is on the path to the core conflict. You’ve now entered the middle. The protag can’t immediately know what to do to resolve the problems and bring about the ending, so they need to figure things out piece by piece. Each clue or discovery or action brings them closer to the major event at the end of act two that sends them hurtling toward the climax. Start of act two problem – minor problem one – mid-point problem – minor problem two – end of act two problem. Start of act two problem: This is the problem created by trying to solve the inciting event/story catalyst from the beginning. Minor problem one: The plan to solve the start of act two problem has run into a snag. Mid-point problem: Major problem discovered, possibly sending the story in a new direction or really shaking things up. Minor problem two: A snag in the plan to fix whatever problem occurred at the mid-point. End of act two problem: The discovery of a major problem that will be the focus of act three, and will lead the protag directly to the climax of the novel. Tastes will vary, but I like to use the minor problems to deepen the inner conflicts of the protag, and save the major story points for the external plot. Present the protag with a choice that goes against their inner need or beliefs, so when they do have to solve that larger problem, it means more or costs more. This also allows me to deepen the characters and make the reader care more about what they’re going thorough, and provides places for my theme to shine through. These moments can be woven through the main plot to add additional layers to the story. Which basically is what the middle is all about. Deepening the story. It’s not about adding more, it’s about fleshing out what you have so the beginning and the ending come together in a way that satisfies your reader. The middle is the real heart of the story. Thanks for all the advice. I know how many novels I put aside because they don't carry the initial excitement through out the book. All those authors should read this post for sure. Maintaining tension is another useful trick. I agree - of course! I'd note too that this happens with all kinds of middles. Short story middles, novel middles, and trilogy middles as well. I working through the middle part of my outline now... Great timing!! Thanks! I've never been stuck in the middle before, but now - yep, stuck. Thanks for the advice! "Tastes will vary, but I like to use the minor problems to deepen the inner conflicts of the protag, and save the major story points for the external plot." I really like this bit of advice. I think it helps to layer the conflict and to keep the character struggling. Great post! AllMyPosts: I've read some of those myself, and it always makes me sad. Eeleenlee: Very true. That's a good thing to do overall. Shauna: Welcome to the blog! Good to have you with us. Wendy: Most welcome! I love it when a post hits a writers at just the right time. Anna: I find it very helpful, especially when I'm outlining. I can see where the story is going and what to focus on when and how to braid them together.